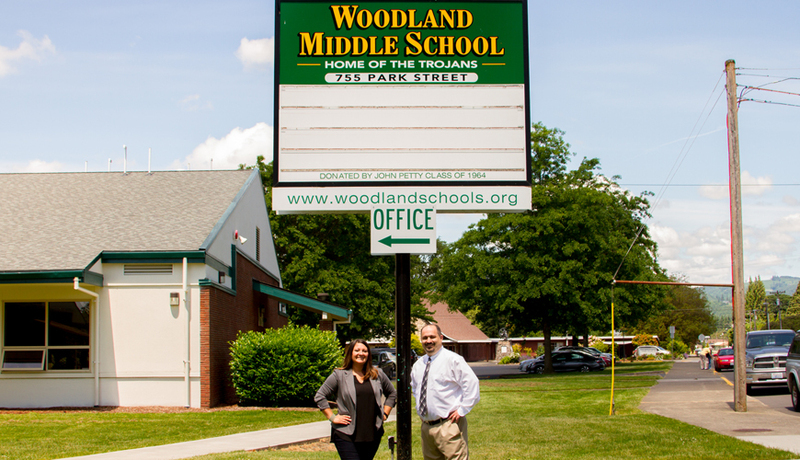 Woodland Middle School held a fire drill today, Wednesday, May 23, 2018. All Woodland schools practice numerous drills as part of the Standard Response Protocol (SRP) program, designed not just for individual scenarios, but as the response to any scenario. By standardizing vocabulary, students and staff can understand the response and status of an emergency event. An evacuation drill practices the need for students and staff to move from one location to another in the event of a fire or other emergency scenario. During evacuation drills, classroom teachers start the evacuation by leading the students single-file to a specified meeting point. Other directions may be invoked during an evacuation, with students and staff prepared to follow specific instructions given by staff or first responders.